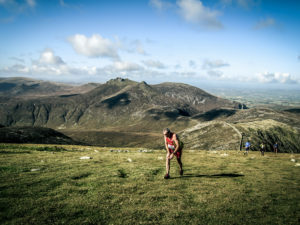 Members of the Northern Ireland Mountain Running team found themselves once again crossing the Irish Sea bound for the mountainous north Wales region of Snowdonia. The full team of five men and four women shared the ferry crossing with members of the Republic of Ireland Mountain Running team as all headed for the village of Llanberis and the start line of the 2016 Snowdon International mountain race. With strong performances at the inter-countries fell running championship two months before the Newcastle AC duo of Zak Hanna and David Hicks, along with William McKee (Mourne runners) and Shane Donnelly (Acorns AC) all made selection once again. The only change to the line up being the inform Colum Campbell (Newcastle AC). The ladies team included Hazel McLaughlin (Lagan Valley AC), Paulette Thompson (Newcastle AC), Diane Wilson (Dromore AC) and Shileen O’Kane (Lagan Valley AC). 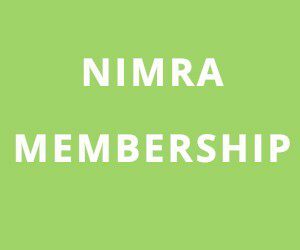 Other local athletes taking part in the event included last years NIMRA champion Seamus Lynch and North Belfast Harrier Andrew Annett both of which were running for Rep Ireland and Newcastle AC’s Sam Mc Neilly. Arriving the afternoon before the race the team had a chance to stretch their legs with a jog along the picturesque lake shore and fuel for the task ahead in the ‘famous’ Pete’s Eats before an early curfew, resulting in poor takings that night for the hotel bar. Race day dawned dull and wet, with low laying cloud filling the valley, obscuring the surrounding mountain tops. However the bleak conditions did nothing to dampen the festival atmosphere which comes to town on race day. Runners flock to Llanberis in their hundreds, with world class elites and novice recreational runners all toeing the same start line. The quality was high at the front of the field with athletes from England, Scotland, Wales, Rep Ireland, France, Italy and San Marino all vying for top spots. The 2pm start took a long time coming as nerves began to build but distractions were plentiful as the warm up acts included the Snowdon Super Cup race (uphill only event), as well as the kids race and plenty of carnival entertainment. As the clock ticked by crowds of people descended on the start line and at the strike of the hour over 550 runners surged across the timing mat along the funnel and onto the road heading for what would be a eventful 10 mile journey to the top of the highest mountain in England and Wales and back down again. Initial the surface is tarmac, 1km of which is flat and then it ramps steeply upward heading into the hills. The crowd is tightly packed at this stage but it was Zak Hanna who made the initial charge, his intentions of a good result clear as he started in the front row. The pace was furious to begin with and only slowed slightly with the increase in gradient. From the tarmac runners move onto the heavily trodden tourist path, used by thousands each year to reach the top of the U.K’s busiest mountain. This path is a mix of copal stones and smooth gravel which makes it very runnable along the first half. Past the halfway house the gradient begins to increase once more as uneven steps lead to a bridge which allows the tourist steam train to pass overhead. The trail begins to climb above the railway line and on toward the summit. It is worth noting that at this point of the course a thick clag hung tightly to the mountain side allowing for no more that 10 to 15 feet of visibility. A strong wind did nothing to shift the cloud but only increased the rate at which the ice cold rain stabbed bare skin. Although no thought was wasted worrying about the conditions, only fixed on reaching the summit as quickly as possible. Zak Hanna had maintained his uphill charge reaching the summit in a time of 44min 31 secs and inside the top 10, an outstanding effort given the running pedigree up front. William McKee was the next NI runner to reach the summit in 46.22 within sniffing distance of Seamus Lynch. Shane Donnelly would reach the summit in a shade over 50min, followed closely by David Hicks and Colum Campbell in 53.39. Diane Wilson was showing her class by summiting under the hour and it would be Shileen who would follow just over a minute later. Sam Mc Neilly was having a great race topping out in 1hr 8min, while Hazel and Paulette would reach the top in 1.09 and 1.11 respectively. On reaching the top competitors retrace their steps back down the tourist path. Sounds easy but with hundreds of runners, walkers, spectators and animals occupying the same path it is no mean feat to descend at speed. The first few kilometres after leaving the summit contain the most congestion. Ascending runners, some delirious from their uphill effort stumble across the path, while wind beaten walkers sheltering within their hoods are unaware of the runners hurtling down behind them. Add in greasy rocks and marble like gravel, competitors brain have to work in over drive to process the ever changing scenario evolving before them in order prevent a very possible face plant. Unfortunately for some it gravity 1, runner 0 as inevitably people take a tumble, but with mountain rescue and medical teams covering the length of the course assistance is always close at hand. Out front race leader Chris Smith (England) was having no such trouble on the descents opening up a 1 min 30 sec gap to tight group of Italians, French and English fighting for the remaining podium places. Lower down the mountain the cloud began to clear and for those who dared to lift their eyes from the ground the town and the finish line were within sight. But as ever the hard work is never over till you cross the line and the steep tarmac road which proved a challenge to many on the way up would once again throw a spanner in the works on the way down. The hard surface gave no rest to tired feet and legs as each foot fall sent a shock wave through the body as runner hurtled along the greasy surface at full flight. Just when you think your legs have had enough and the friction in your shoes feel like they about to set your feet on fire the hill ends and it’s a flat dash to the finish. For those who have been able to reserve some energy it is the perfect place to push on and gain some positions. Crowds line the road side shouting and cheering as the multitude of coloured vests and t-shirts stream by. A voice can be heard floating its way up the street as the commentators announce each runner coming over the line. Flashing faces and cars, blurs of colour and the smell of the steam train all assault your senses as you make take your final steps towards the finishers funnel. For some the hard work is still not over as they have to call on all their remaining energy as they sprint for the finish line as was the case with William McKee as he gave it all, narrowly holding onto 19th position by only a second. Zak Hanna had no such ordeal coming over the line with a smile on his face and rightly so after finishing 13th. 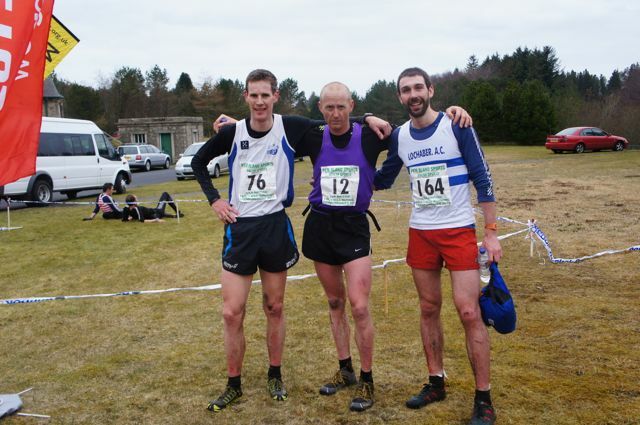 Shane Donnelly made it over the line in 30th place, while David Hicks had a strong finish in 36th. Colum Campbell finished a wonderful race in 53rd in a time of 1 hour 22min 7secs. In the ladies race Diane Wilson powered on finishing 12th, stopping the clock at 1 hour 29min and she didn’t have to wait long as Shileen O’Kane crossed 3 minutes later in 16th place. Hazel and Paulette continued their closely contested race right to the end and they placed 35th and 36th, with only 20 seconds separating each other. In the female open category Sam Mc Neilly performed excellently giving her all to finish 33rd in a time of 1 hour 44 min. Seamus Lynch and Andrew Annett finished well with 3 Rep of Ireland runners in the top 25, Seamus placing 17th and Andrew in 24th. The effort put in by each runner was clearly visible as they streamed across the line for the next few hours. The NI team being no exception with excellent runs all round. It is understandable why this race is such a success, attracting people from all over the world, year on year. Despite the mountains popularity it has done nothing to lessen the challenge which it presents as each runner aims to concur it as quickly as possible. It was now time to celebrate the hard work and with all the international teams sharing the same hotel one didn’t have to go far to be regaled by an odd running tale or two. It was England’s Chris Smith who won the race in a time of 1 hour 5 min, while the Ladies race was won for the second time by Ireland’s Sarah Mulligan in 1 hour 20min. It was important for the NI team to show their supporting helping celebrate late into the night and true to form being the last ones to knock off the lights at the end of the night, capping of what was a very successful and enjoyable 2016 Snowdon International race.